Kasen LOVES to play Peekaboo. Of course, you already know that – his love of peekaboo hit the blog in our post about Timothy & Dawn’s wedding. But this game has taken a new turn: Kasen hides his own face now! 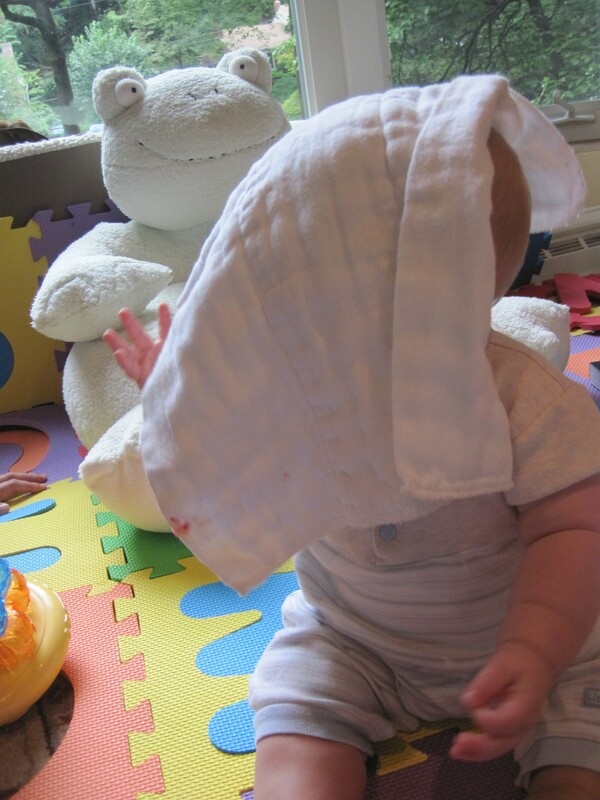 Kasen likes to pick up a burp cloth, cover his face, then uncover his face and wait for his audience to shout “Peekaboo!” He gets so excited that he jumps up and down (while sitting) when he covers his face. As an update to our post from last week (On my own two feet), Kasen has started cruising! Can you believe it? He just started pulling up and he already wants to start walking. 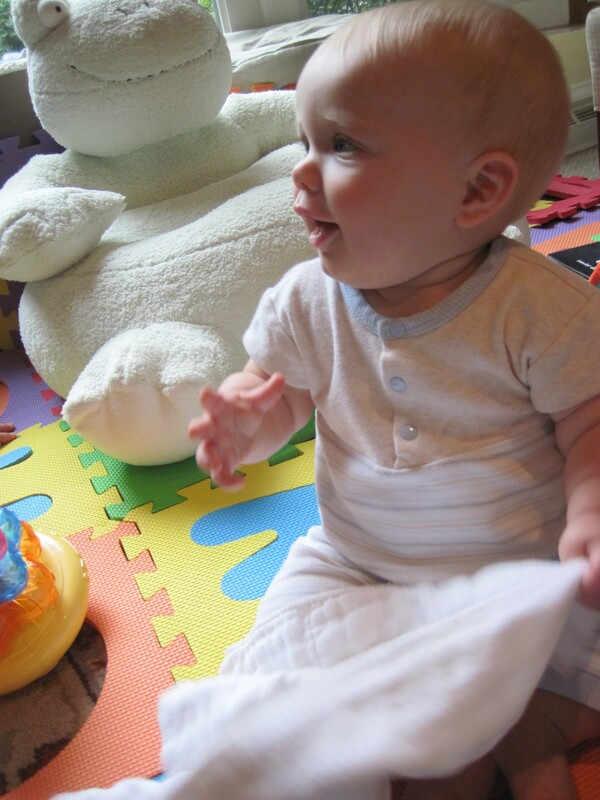 Still no update on the crawling though – he’s still moving backwards. Crazy baby.